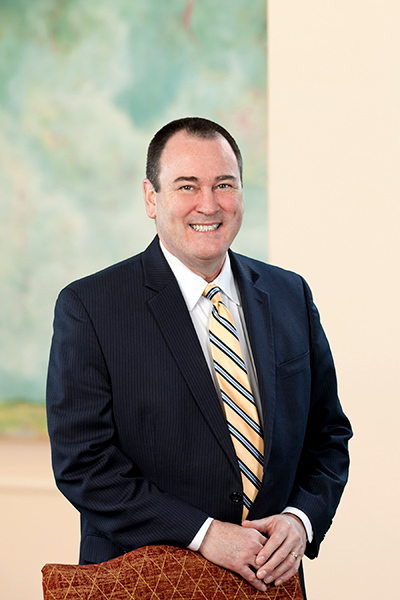 Named partner in 1987, Bucky Highsmith has been with Stewart Melvin & Frost since 1983. In his practice, Bucky specializes in trust administration, estate settlement, wills, trusts, estate planning, guardianship matters, probate, estate litigation, will contests, estate tax planning and financial protection for older people. He assists clients in designing and providing simplified and cost effective ways to help ensure appropriate decision making and wealth transfers in retirement years and upon death. He also helps family members deal with the issues and challenges that arise when a loved one dies or becomes incompetent. Throughout his career, Bucky has been very active in the community working with organizations such as the American Red Cross, Elachee Nature Science Center, the Guest House and United Way of Hall County. Recently, he has served on the board of directors of the North Georgia Community Foundation, the board of trustees of the North Georgia Conference of the United Methodist Church, the Camp Glisson Board of Directors, and the Brenau University Board of Advisors. Bucky has an accounting degree from the University of Georgia, a law degree from the University of Georgia Law School and a master’s degree in taxation from the Emory University School of Law. Losing a loved one is never easy. Emotional needs must be met. Immediate family matters must be attended to. Funeral or memorial service arrangements must be made. But at some point fairly soon after death certain practical steps need to be taken. Who Controls Facebook Page and Content after Death? Facebook should be treated like an asset of the deceased member’s estate and therefore managed by the executor and controlled by the deceased member’s Will.